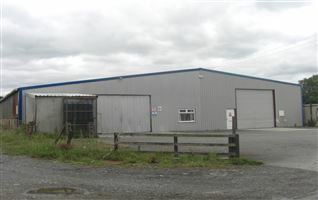 Situated at the front of the estate, close to Nenagh town centre and all amenities. 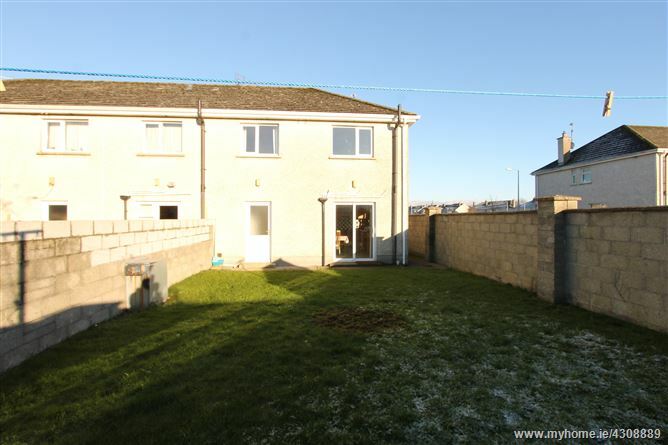 This property would make an ideal first time buyer property, family home or investment property. 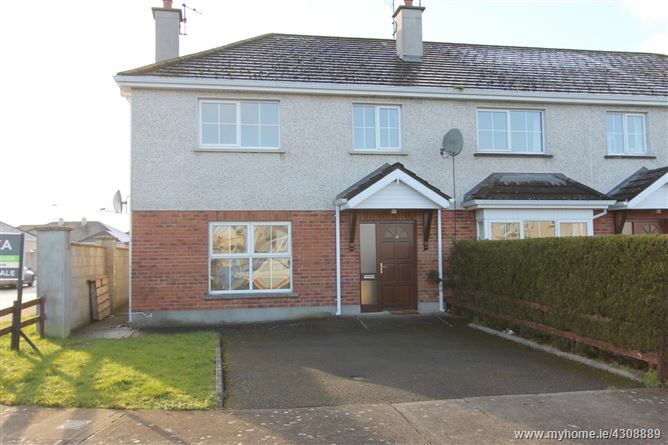 A beautifully presented four bedroom home in this sought after development close to Nenagh town centre and all amenities. This well finished home is presented for sale in turn-key condition. 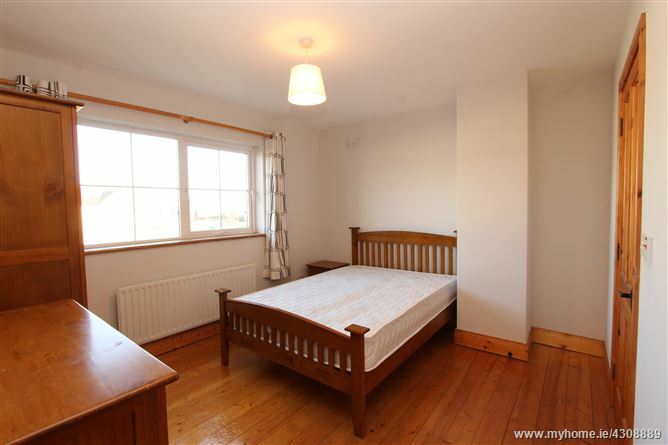 The property comprises: entrance hallway with laminate wood flooring and a large storage press under the stairs. 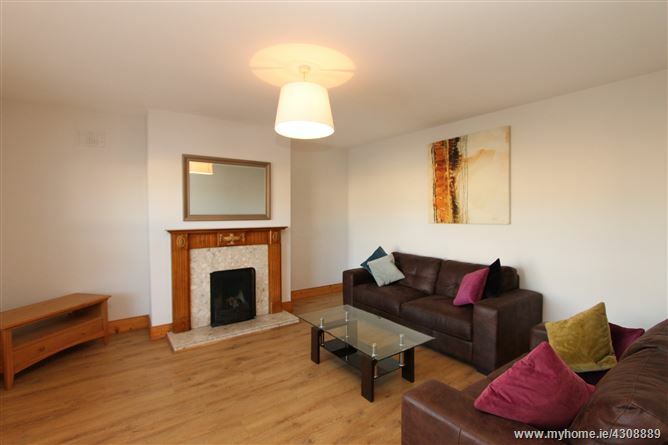 The spacious living room to the left features a marble inset fire place and laminate wood flooring. 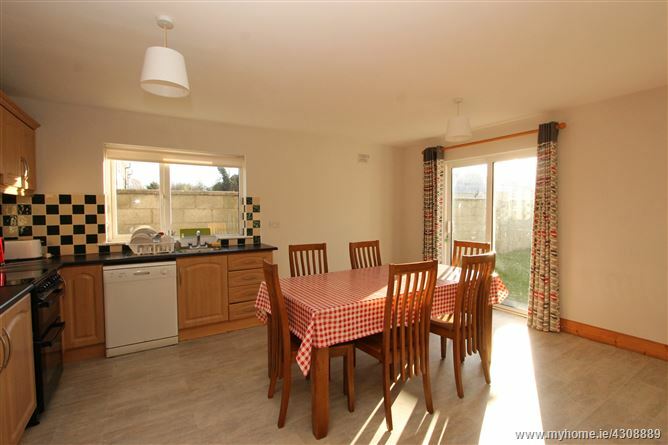 The kitchen/dining room is to the rear of the property and has fully fitted units with splash back times, lino flooring, built in hob/oven and French doors to the rear garden. 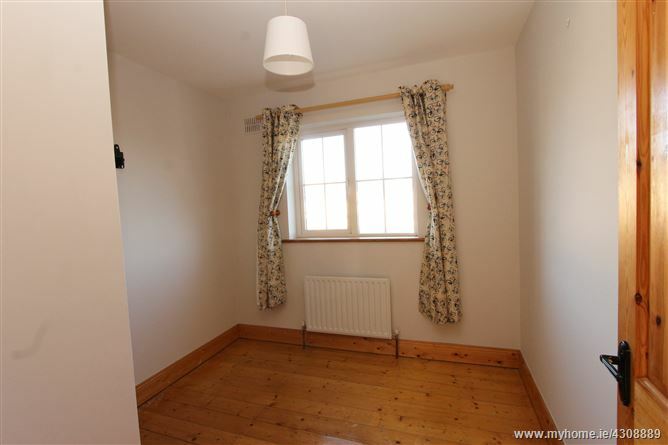 There is a utility room with built in units and plumbed for a washing machine and dryer. 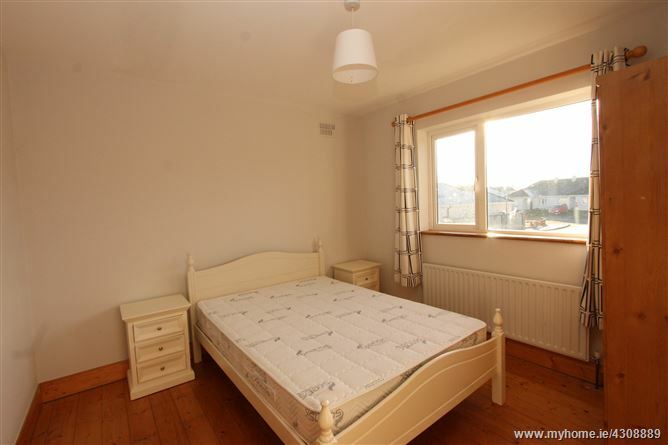 A carpeted wooden stairs leads up to the first floor where there are four bedrooms. 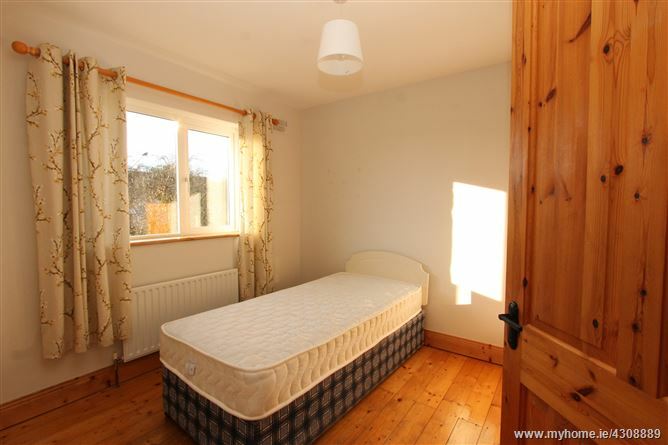 In addition, the main bedroom is en-suite. 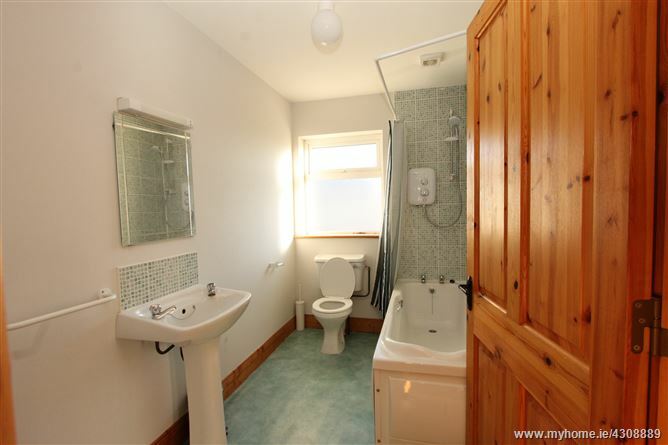 The family bathroom is fully tiled with W.C., W.H.B., bath and separate electric shower. 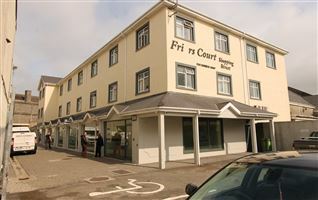 Parking is available to the front of the property and there is a garden to the rear, accessible by a side entrance. 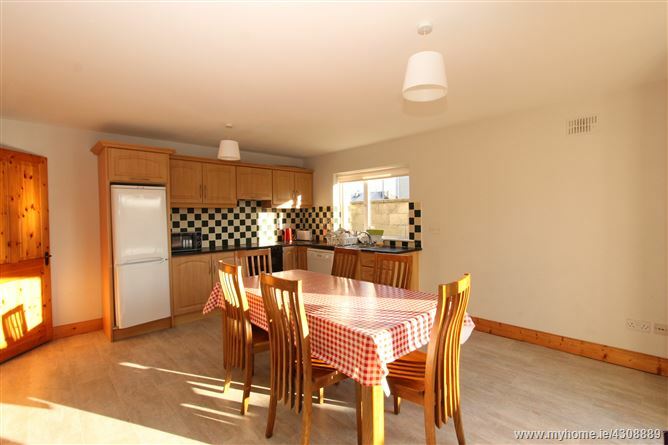 Entrance hall, living room, kitchen / dining room, utility, W.C., 4 bedrooms (1 en-suite) and bathroom. 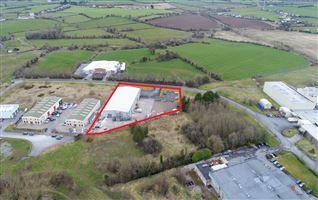 The Coille Bheithe development is situated just off St. Conlons road in Gortlandroe. From the Post Office in Nenagh, turn right onto St. Conlon’s Road. 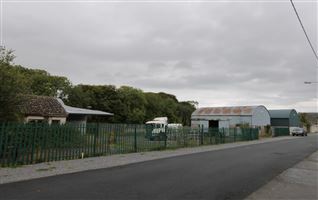 At the Office of the Revenue Commissioners turn left in to the Coille Bheithe development. 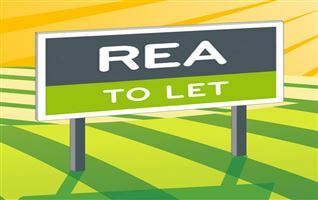 Take the 3rd turn on the right and the property is the 1st house on the left hand side identified by our For Sale sign. Laminate wood flooring and stairs to the first floor. Laminate wood flooring and open fire. Lino flooring fully fitted kitchen with splash back tiles and French doors to the rear garden. Lino flooring and built in units, plumbed for a washing machine and dryer. Laminate wood flooring, W.C. and W.H.B. Tiled with W.C., W.H.B. and electric shower. Lino floor with W.C., W.H.B., bath with shower.